The singer is honoring her late brother with a new outreach program. 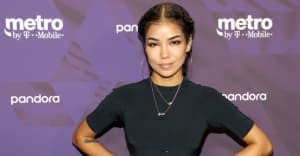 Jhene Aiko has announced the launch of the WAYS Foundation, an organization dedicated to bringing financial support to patients in need of cancer treatment, as well as their families. The foundation was started to honor her brother, Miyagi, who died of cancer in 2012. Billboard reports that WAYS stands for "Why aren't you smiling," a phrase Miyagi coined during his cancer battle. "This Christmas, I decided to gift my family with the 'WAYS Foundation,' something my family and I have had in the works since the passing of my brother," Aiko told Billboard. "I decided to make a donation on my family's behalf in which we plan to continue to help people and families affected by cancer." This year, Aiko also created a short film and album, both called Trip, based on her experience with her brother.